Indian Prime Minister on Thursday announced an additional $500 million aid package to Afghanistan as part of India’s contributions to fundamental projects in Afghanistan. At a joint press conference with President Hamid Karzai in Kabul, Indian Premier Manmohan Singh said India will remain beside Afghanistan as long as it takes to resolve issues concerning to Afghanistan. During the conference President Hamid Karzai told reporters that both leaders discussed a wide range of issues, including regional security, improvement of economic ties between the two nations and bolstering cooperation in the fight against terrorism in the region. Once again the two nations reasserted their long-term commitments and announced that the strategic partnership between the two countries is based on principles of sovereignty, equality and territorial integrity of states. 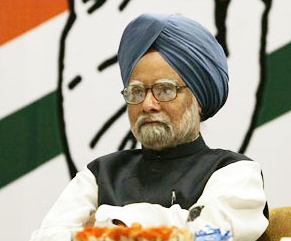 Manmohan Singh’s visit to Afghanistan will last for two days and he is scheduled to visit and deliver a speech in the Afghan House of Representatives. Mr Singh also invited President Karzai to visit India for further talks on regional issues. The death of Osama Bin Laden in Pakistan in a raid by a small team of US special forces, which was shocking and complicated to the world, has strengthened doubts about the fact that Pakistan provides support to terrorist networks. When asked what his first reaction after hearing about Bin Laden’s death in Pakistan was, Mr Singh said he got puzzled to hear the news and thought is it that no one was aware of Osama living in Pakistan or some circles within Pakistan’s government knew about his hide-out. I think investigations would prove whether Pakistan was aware of Osama living in its territory or not, Mr Singh said. India has spent $1.5 billion in Afghanistan to help build highways, hospitals and the electricity networks. Mr Singh last visited Afghanistan in 2005, but Karzai has been a frequent visitor to India.